Another top notch S-400 missile defense system has been deployed to Russia's far eastern Kamchatka Peninsula. The new generation weapons with a range of up to 400 kilometers can bring down small planes and nuclear charged ballistic missiles. Thirty-six units of military hardware that make up one S-400 ‘Triumph’ (NATO codename SA-21 Growler) regiment were delivered to Kamchatka in the Far East from Southern Russia by sea. The Defense Ministry says it’s already been unloaded and taken to its permanent location near the city of Petropavlovsk-Kamchatsky. It’s planned that five S-400 echelons will protect Kamchatka’s skies. Each delivery follows the systems’ thorough testing and training of personnel at the Kapustin Yar military range in the south of the country. S-400’s are already protecting the skies over Moscow and St. Petersburg, and Severomorsk – the headquarters of the Northern Fleet, the Kaliningrad region – the most western part of the country, locked between Poland, Lithuania and Belarus and home to Russia’s Baltic Fleet, and also southern regions and the coast of the Sea of Japan in the Far East. The S-400 is a new generation anti-aircraft system, which can be equipped with very long-range missiles (up to 400km), long-range (250km) and medium-range (120km). It’s capable of shooting down anything from small aircraft to cruise missiles such as the Tomahawk, and even ballistic missiles armed with nuclear warheads. For the next few years Russia doesn’t plan to export the system. 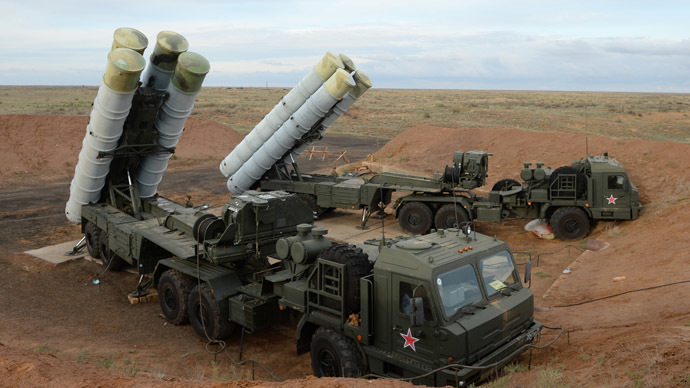 It will only sell the older S-300. However, a future S-400 shipment deal has been struck with China, which became the first state on the list of at least eight other countries wanting to get their hands on it, including Saudi Arabia and Turkey.